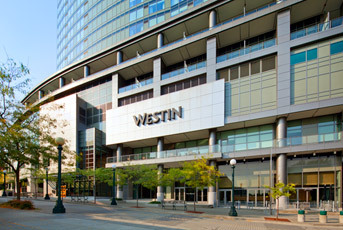 The Hyatt Regency Bellevue is WASWUG’s headquarter hotel. There are still rooms available at the hotel's prevailing rate. To book a room and view the current rates, click here. The Group Rate for the Hyatt is at the prevailing government per diem rate for King County, which is currently $179.00 plus tax per night for a single or double bed room. All reservations are held via credit card upon booking. No charges will be billed to that credit card prior to your arrival unless you cancel after January 19th. Room reservations may be paid onsite using a School District Procurement ‘P’ Card or a personal credit card. If you are unable to secure your dates, the waitlist is also available through the link above. NEW CANCELLATION POLICY THIS YEAR: Reservations cancelled after January 19th will forfeit one night room and tax. Please confirm your WASWUG plans early, this will allow the block to be filled with those attending the conference. The cutoff date for reserving a room within the room block is February 9th based on availability. Hyatt Regency Bellevue self-parking is $20 per day for Sunday night through Thursday night stays (subject to change). Friday & Saturday night stays are complimentary. Valet is available for $31 per day (subject to change). The Seattle Marriott Bellevue is less than one mile from the Hyatt Regency Bellevue. WASWUG Spring offers a complimentary shuttle between the Marriott Bellevue and Hyatt Regency Bellevue. 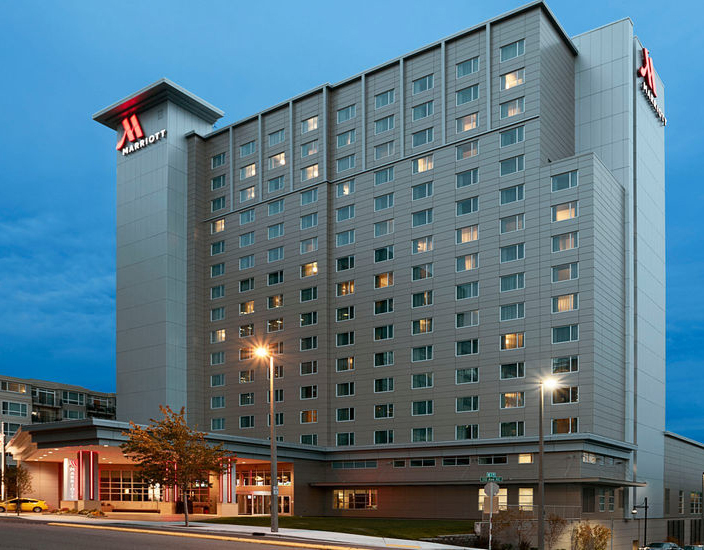 The Group Rate at the Marriott is $177.00 plus tax per night for a single or double bed room and includes complimentary in-room and hotel lobby wireless. There are limited rooms available at the group rate until February 21, 2018. Please note that Purchase Orders are not accepted as a form of payment at the Seattle Marriott Bellevue for your reservation. A check can be used for payment if received 2 weeks prior to your arrival. Include guest name, district, and hotel confirmation number when sending in a check. Reservation cancellations must be received at least 72 hours prior to arrival. The cutoff date for reserving a room within the room block is February 21st, based on availability. WASWUG guests staying at the Seattle Marriott Bellevue will receive a 50% discount off valet parking (currently $31/night). There is no self-parking at the Seattle Marriott Bellevue. The Westin is located a block away from the Hyatt on the other side of the skybridge. This hotel is sold out. Please see other hotel options below. The Group Rate at the Westin is $179.00 plus tax per night for a single or double bed room, and includes complimentary in-room and hotel lobby wireless. All reservations are held via credit card upon booking. No charges will be billed to that card prior to your arrival. The cutoff date for reserving a room within the room block is February 8th. 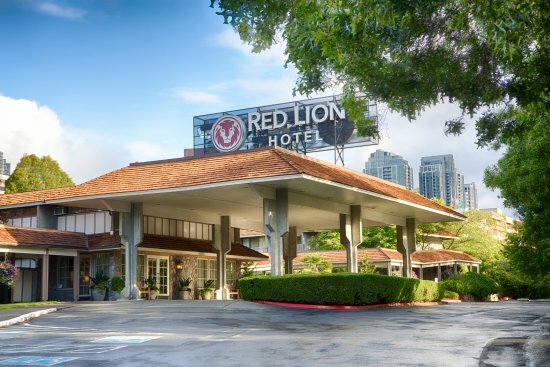 The Group Rate at the Red Lion is $135.00 plus tax per night for a single or double bed room, and includes complimentary in-room and hotel lobby wireless Internet. Cancellation Policy: If you wish to cancel, please do so by 4:00 pm local hotel time at least 24 hours prior to arrival to avoid cancellation penalties. Red Lion Bellevue parking is $9 per night. 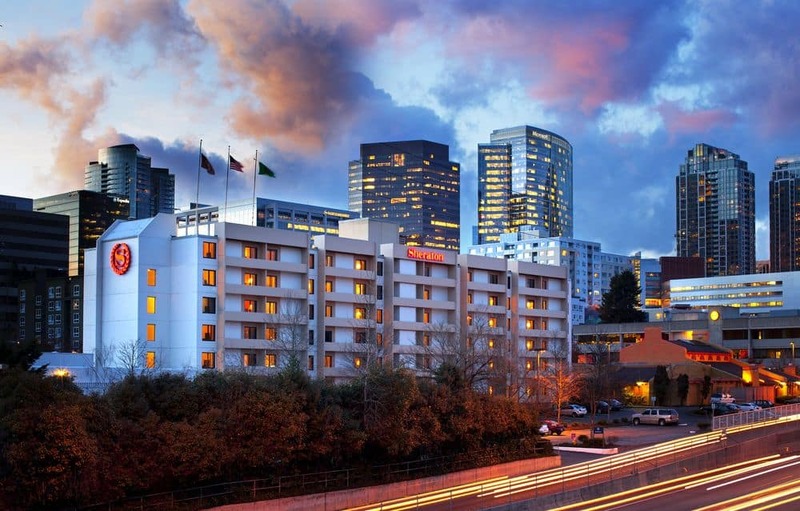 The Red Lion Bellevue also offers a complimentary car service to and from the Hyatt Regency. Confirm times at the front desk. The Sheraton is located .3 miles away from the Seattle Marriott Bellevue where a shuttle is available to take you to the Hyatt Regency for the conference. 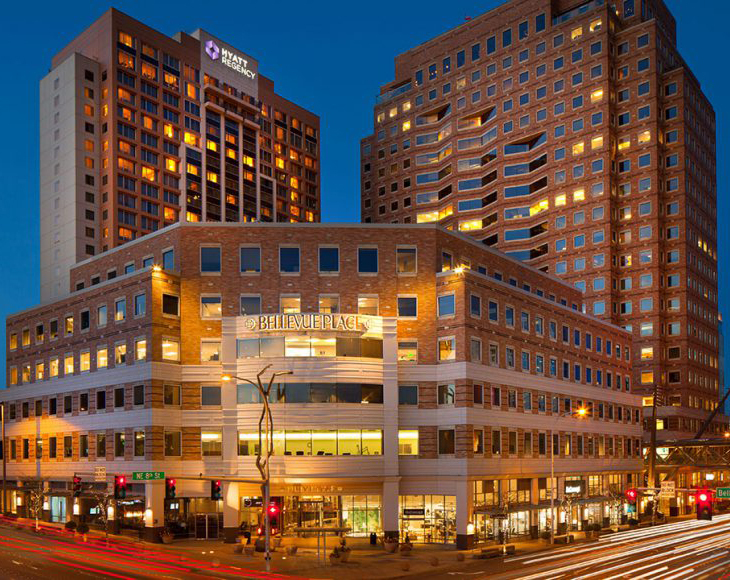 The Group Rate for the Sheraton is $169.00 plus tax per night for a single or double bed room. There are limited rooms available at the group rate until February 8, 2018. Secure your reservation online » or call 866-837-4275. A valid credit card is required to confirm your reservation, at which time the Sheraton will charge a (1) night Group Room Rate deposit. Cancellation Policy: If you wish to cancel, please do so 48 hours prior to check-in, at which time the deposit will be refunded to the credit card used to make the reservation. If the reservation is cancelled after this time, the one-night deposit will not be refunded. Sheraton Bellevue offers complimentary parking.